Normally I have supported the charity rides as a bicycle mobile radio operator. 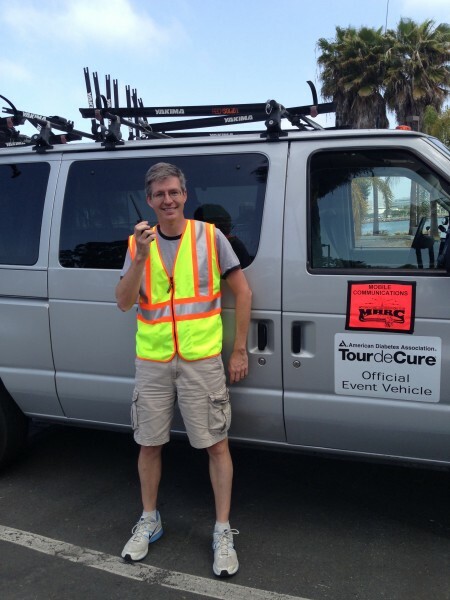 But I had bowed out of the two April Tour de Cure rides – I was out of town during the San Diego ride, and I’d been off the bicycle for too long to effectively support the Long Beach ride. But late last week Bonnie said she was short a radio operator for one of the SAG wagons. At 3PM on the day before the ride, I finally found a babysitter and gave Bonnie the AOK that I would be able to help. 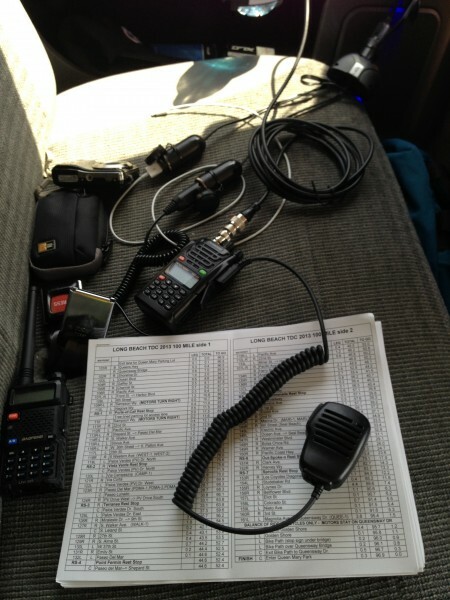 I then went to Ham Radio Outlet and got a mag mount for my antenna, just in time for the event! I was assigned to SAG 7, driven by Thomas and navigated by Bev. 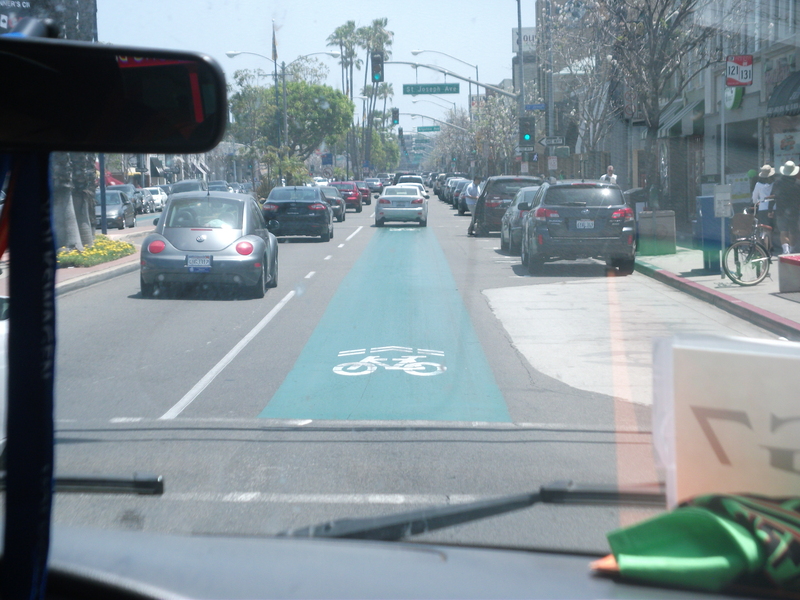 We were in the mothership, a van which holds 14 people and 21 bikes. 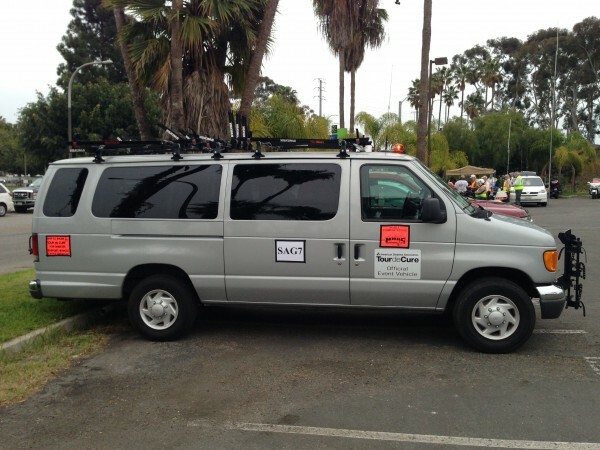 With that kind of setup, clearly Thomas had done this before, later he mentioned he worked with other rides including Race Across America (RAAM). 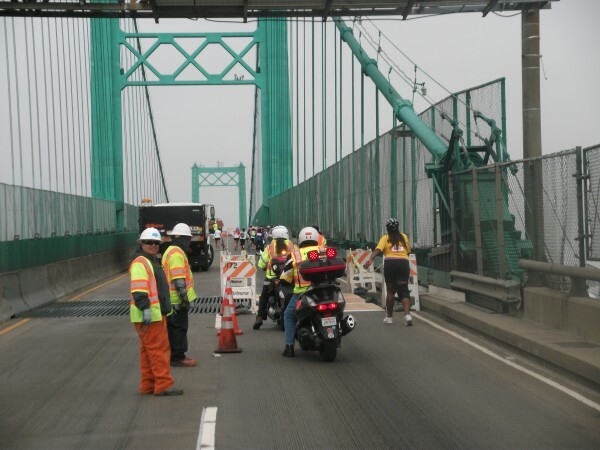 Since we had the carrying capacity, our first job was to pick up the riders who couldn’t get across the Gerald Desmond and the Vincent Thomas bridges in time for them to be reopened to traffic. 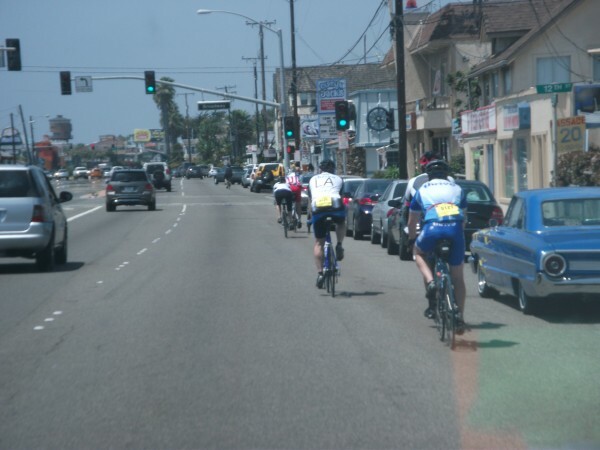 We picked up a couple of riders by the Gerald Desmond, and then we headed over to the Vincent Thomas. A few of the riders were almost to the top of the bridge, so rather than SAG them across, we ran their bikes up to the top of the “hill” (the bridges are about a 4% grade) so that they could ride downhill the rest of the way. 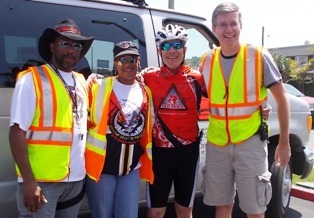 Along the way, we picked up a rider who needed some medical assistance due to her diabetes. On our way to Rest Stop 1, we were flagged down to help another rider, but we had to let another SAG not too far behind us take care of that. Once we got to Rest Stop 1, the rider was able to get the medical assistance she needed. We then returned to the start/finish, and while we were there, we enjoyed an early Wahoo’s fish taco lunch before heading out on the road again. With the bridge duties done and most of the other SAG vehicles already covering the 32 and 60 mile routes, our duties shifted to supporting the latter half of the 100 mile route. 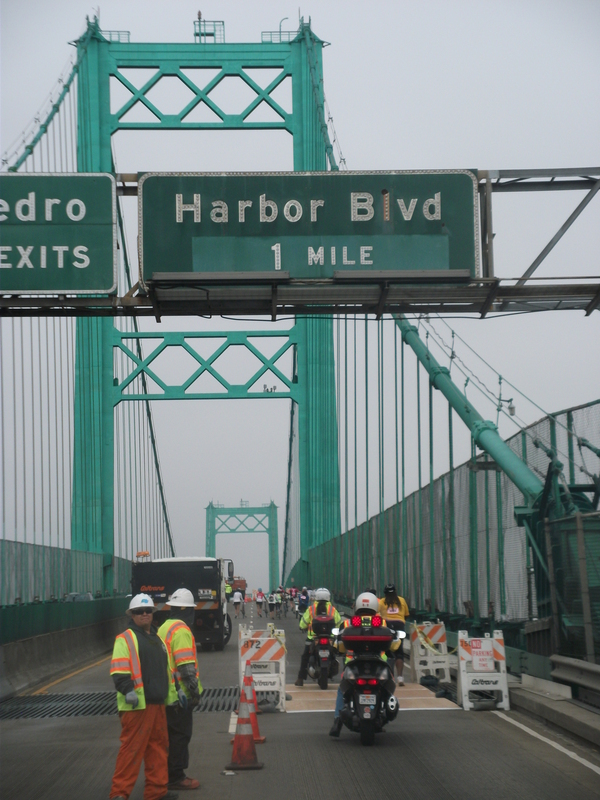 We were called to downtown Long Beach, where a few of the 100 mile riders couldn’t find the continuation of their route and ended up heading on the 60 mile return to the Queen Mary. We discovered that the afternoon ocean breeze was swinging up a key route sign so that it was invisible to the riders. 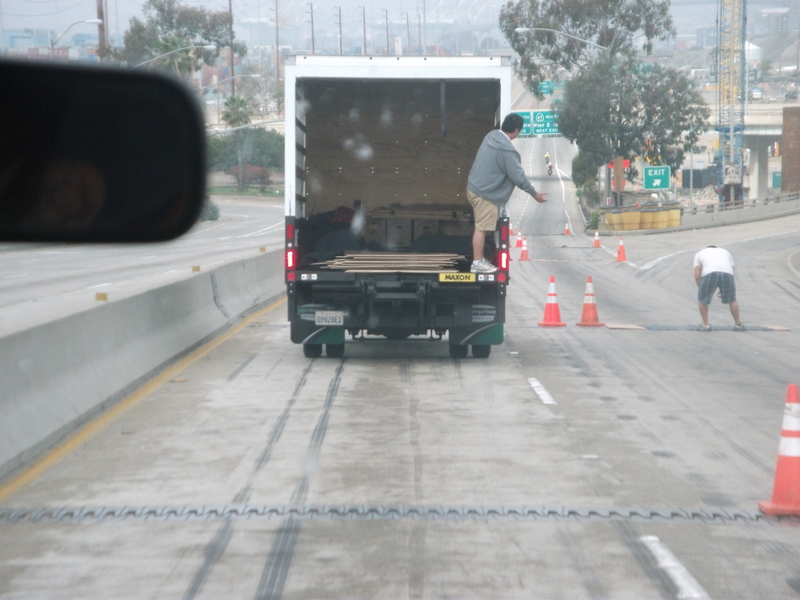 We fixed that sign, stuck a few more arrows on the road, and then went back to driving the 100 mile route. On our way to Rest Stop 6, we saw a cyclist walking his bike. He didn’t notice us, but we noticed he was one of our riders and so we stopped for him. Although he was in great shape, he was new to cycling and originally signed up for the 32 mile, but decided to do the 100 (!) after the miles on the shorter route flew by faster than he expected. He had borrowed a road bike with platform pedals, but he was making great time nevertheless. We helped him with his flat tire, for which he was grateful, and he was on his way. We spent some time at Rest Stop 6 and Rest Stop 7 near the end of the course, as the remaining riders didn’t need that much assistance. It was nice to be able to talk to some of the fundraisers and the volunteers. We even saw that guy (again) who we had helped out back before Rest Stop 6! Normally it’s not best to sign up for the 32 mile and then switch to the 100 mile, but in this case I had a feeling that he was going to make it. We finally packed it in around 5PM. A lot of work, but a lot of fun too, and for a great cause. 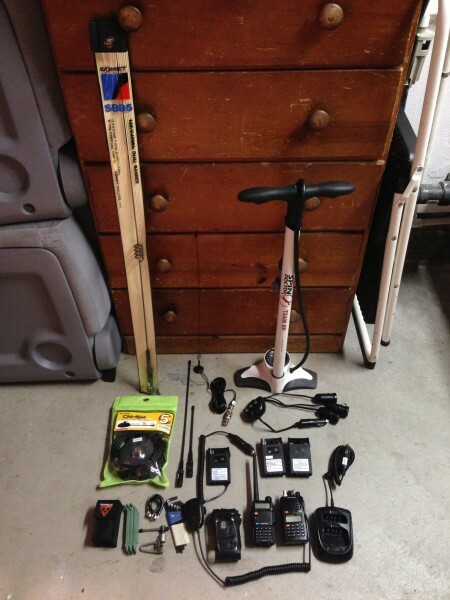 This entry was posted in Radio on May 1, 2013 by BikingBrian.